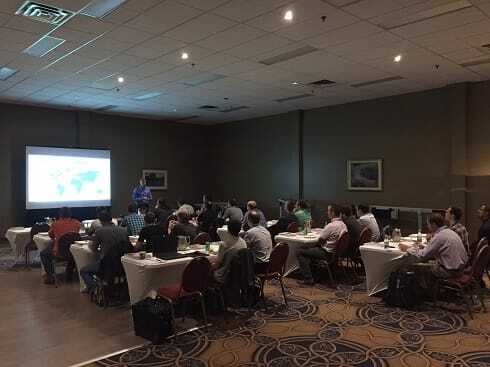 Last week, Dorner was proud to co-host an on-site training session with our distributor, Avrex Canada for a key customer in the region. This event gave Dorner the opportunity to introduce new technology while reinforcing the use of standard products. The class focused on our Industrial Automation products. We were able to present to over 20 engineers on a variety of our products including our Precision Move conveyors and the new 3200 Series with Intralox Activated Roller Belt™ (ARB) Technology. If you or a customer would benefit from a one-on-one training session with Dorner, please contact us or your local distributor to discuss. Learn more about the 3200 Series with ARB Technology. Learn more about the 2200 Series Precision Move Conveyors and 3200 Series Precision Move Conveyors.